Yesterday I went to work for the first time since winter break began. I had lunch with several colleagues and, as usual, we shared stories about our students—the best and the worst. One student I’ll always remember told me at the end of the semester that he had never finished reading a book until he took my class on Black Women in the Americas. He had to be close to 25 years old and he was very bright (despite admitting he only took the class to meet women). He later decided to write a novel himself, which was the ultimate reward for me. As an educator, it’s heartbreaking to stand at the front of a classroom and see no hands raised when I ask, “How many people finished a novel in the past week? The past month?” The vast majority of my students (who are mostly Black and Latino, working class) don’t read recreationally. Reading isn’t fun and they don’t understand that reading truly is fundamental. Many of my students don’t know what Standard English looks like because they don’t hear it in their homes or communities and they‘ve never seen don’t regularly see it printed on a page; as a result, they write based on oral/aural knowledge—“would of been” instead of “would have been.” I taught a writing intensive class for the first time last fall and it was incredibly demoralizing. At one point I actually told my students that I felt like I’d missed the bus—trying to develop a love of literature in 20-year-olds is extremely challenging. If you don’t hook kids when they’re young, it’s hard to develop new habits later on. I took the advice of my senior colleagues and removed Ralph Ellison’s Invisible Man from my syllabus. 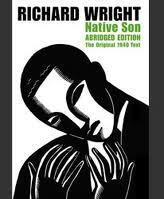 They still had to read Richard Wright’s Native Son and out of 20 students, only 3 made it to the end. But at the end of the semester, many said the novel was their favorite assigned reading. So there’s hope—IF you can hook them on a narrative that’s exciting, fast-paced, and not too long. 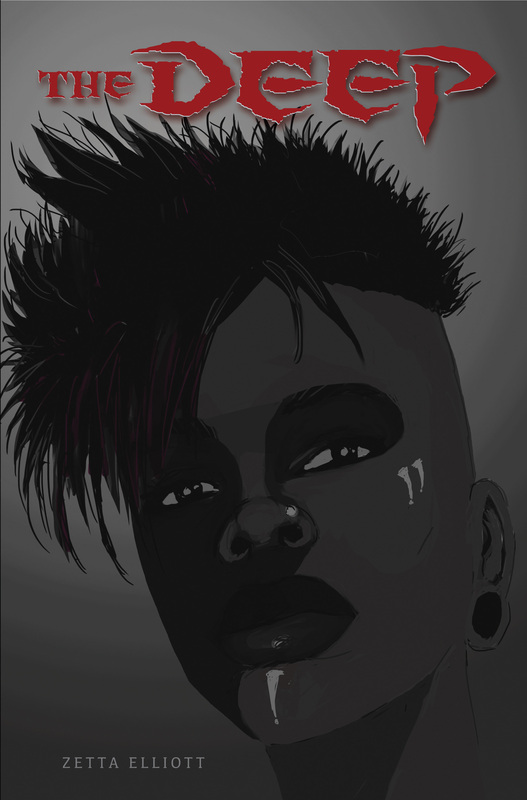 For such a short novel, The Deep, an Urban Fantasy with contemporary YA trappings packs a lot: from the introduction to a whole new, hidden underground world and a secret group that keeps evil at bay to the idea that what said group might be doing is not entirely that black and white; from expanding on the previous book by continuing Dmitri’s story but also focusing on Nyla’s own including her past, her present, her parent’s own struggles, her love life, her developing magical powers, etc. Although it is true that a person’s life is a complex mixture of different threads and the book speaks to this, I am not sure that everything combines seamlessly here. The book greatest strengths are Zetta Elliott’s (always) beautiful writing and the careful, powerful characterisation of Nyla and of those who surround her. Zetta Elliott is at her best when writing about characters’ emotional make-up and Nyla’s relationship with her family, her stepmother, her boyfriend (and his family) are beautifully portrayed. You touch on the historic disconnect between critics and audience here. I’m not a fantasy expert but do like a good story, and besides, the Internet has ruined my attention span. In contrast to the other reviewer, I was glad to see the references to D’s story because we got to know him in Ship of Souls and want to know how he’s doing several months later. What you’ve done is create characters about which readers care, and I appreciate your choice to get this book out earlier so that fans of Ship of Souls can continue the story. Thanks, Lyn. I expect plenty of readers to have a similar critique–they want more of Nyla’s story, and many people wanted more about D, too. It helps me to make distinctions among my readers because they do have different needs and expectations, but I do appreciate anyone who’s willing to take the time to read and review my work.